The MAHO Web Portal is for the convenience of our exhibiting company trade show coordinators and our retail attendees. If you are an independent brick and mortar retailer, attending the MAHO Expo, you can use this portal to request a hotel room. If you need to register for the MAHO Expo please call us (800-795-6246) as we do not yet have online show registration. All users must create a username and password to use this portal. If you are a trade show coordinator, and your company is exhibiting at the MAHO Expo, you can use this portal to complete your company’s directory information and request badges and/or hotel rooms. All users must create a username and password to use this portal. 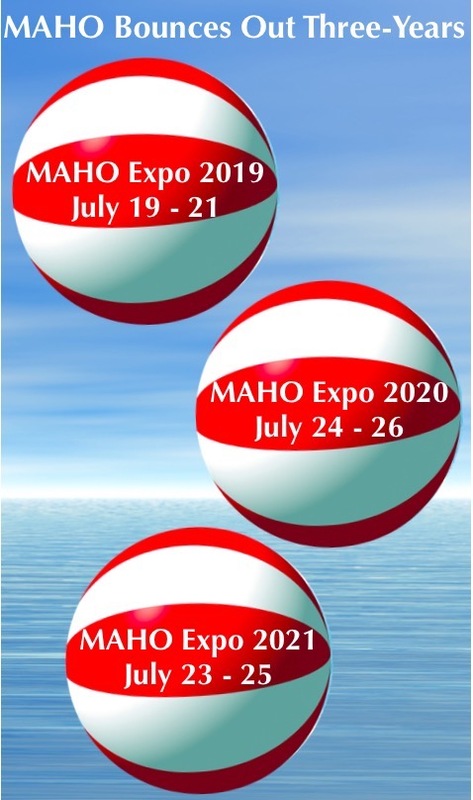 Please use the following links to review additional show information including any forms necessary for exhibiting at or attending the MAHO Expo! All retail and exhibit PDF documents can be downloaded, manually completed and faxed (614-798-1118), emailed (diane@maho4health.org) or sent to the MAHO office (address in the footer). At this time no PDF is editable online. Please join us and make this the best MAHO Expo ever! The annual “Summer Splash” Convention and MAHO Expo is the premier event in our 15-State Region. MAHO focuses on the Independent Retailer who would not typically attend the larger shows. Retailers and exhibitors have the opportunity to spend quality time with each other, as well as our featured speakers and sponsors. Where can you experience cutting edge educational information, important legislative advocacy updates, and extreme show specials under one roof? That’s easy! The place to be is YOUR MAHO Expo and “Summer Splash” Convention! This event is currently held in mid to late July of each year. See calendar for specific dates. 100% of the show proceeds are re-invested in the industry for education and grassroots.